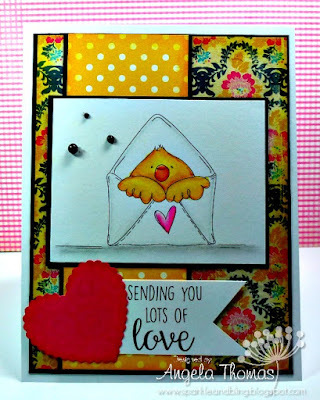 Release day at Stamping Bella is finally here!!! I`m showing one last sneak peek of one of the new sets called Mail Chick. A number of images are being shown today so make sure you check out the Stamping Bella blog before you start shopping!!! Grab a cup of java, your wallet and enjoy the shopping!!! My wallet is going to be empty after this release. LOL!! !